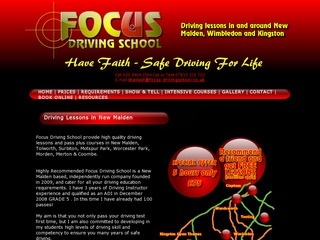 focus driving school is independent driving school based in new malden. Grade 5 driving instructor and give full 100% to the pupils and very friendly,professional & understanding . You will be safer driver when you have passed your test. I cater not only for novice drivers but also offer additional lessons including a full pass plus course,motorway,Refresher and driving instructor training courses. Areas covered kingston,newmalden,tolworth,surbiton,Ewell,wimbledon,merton,morden,cheam,sutton and surrounding areas. Shailesh.